Many insurance companies periodically provide all claimants who receive workers’ compensation benefits with what is known as a benefits affidavit. Different insurance companies have different names for these questionnaire forms but they all essentially contain the same questions. Many insurance companies will state in their cover letter that you are required to give this information so that you do not have a lapse in your benefit. In reality, there is no legal requirement that you complete these benefit affidavit forms. It has been my experience that the purpose of these forms is often to trap and confuse claimants. Many insurance companies hope that the questionnaire form is either misunderstood or improperly completed so they will then have evidence upon which to allege a violation of Section 114-a fraud. If the insurance company can demonstrate that there has been a violation of the statute, the claimant may be disqualified from benefits. 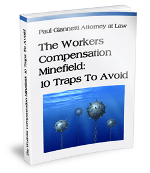 There are also criminal charges that can accompany workers’ compensation fraud findings. There are two main areas that require particular attention for claimants attempting to complete these forms. First, we strongly recommend before completing any documentation, that you contact your workers’ compensation lawyer to insure that you should be filling the document out and if so, that you are completing it properly. The first area of concern involves questions regarding whether or not you have “returned to any type of work.” I have had many clients who have answered this question in the negative when they have actually be doing work around their house or helping a friend fix his car or any other activity that the average person might not construe as “work.” However, many insurance companies will raise the issue of Section 114-a fraud when such a statement is made but contrary evidence existence. We strongly recommend that our clients think of any possible activity that they may have been involved in that might be construed as work before indicating that they have not done any work. In some instances, we will recommend that our client not complete the questionnaire form. It can be much better to be questioned under oath in front of a Law Judge regarding work activities because any ambiguity can be clarified during testimony. 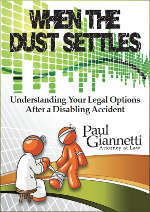 The second area that becomes problematic involves questions regarding the claimant’s usual daily activities. This question is usually a set up as the insurance company hopes that the injured worker simply confirms that they are unable to do very much at all because of their disability. I have had insurance companies take that statement and raise Section 114-a fraud because they have secured a video that shows the claimant carrying trash bags from his home to the curb. The insurance company will then allege that the statement was not true because the claimant was able to do certain activities but represented that he or she was not. As ridiculous as all of this seems, it happens every day. The moral of the story is that you should not complete and/or submit those questionnaire forms to the insurance company until your attorney has reviewed them. If you have questions regarding your workers’ compensation issue, please feel free to contact our office.